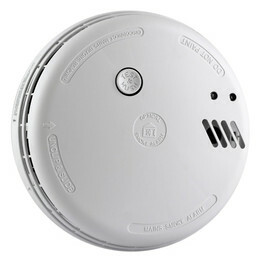 Mains powered optical smoke alarm with hush button from Ei, complete with Easi-Fit mounting base plate. This is the latest Ei146"RC" detector - now capable of interconnecting with the Ei1529RC remote control switch. Ideal for protecting general smoke areas. The Ei146RC replaces the previous Ei146 model but can still be used to extend and interlink to an existing Ei140 system.